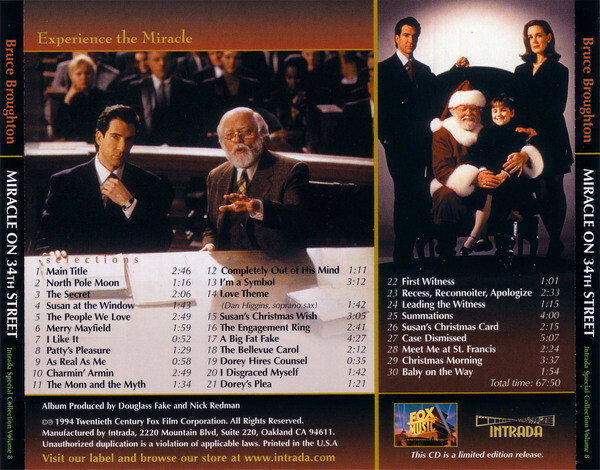 Complete score album from the 1994 remake of 20th Century Fox's classic Christmas movie. 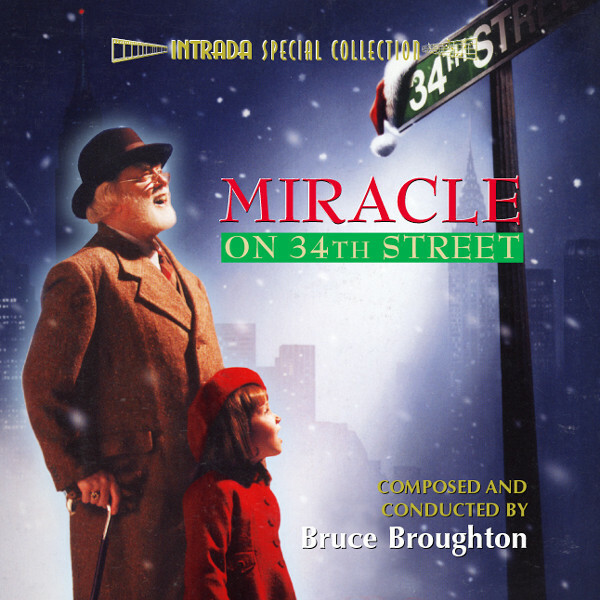 Bruce Broughton provides a wealth of warm, original music in a festive mode for large orchestra and chorus plus an original carol for boy soprano, choir and strings. 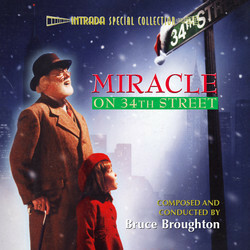 His music colors gentle, dramatic elements of the story in beautiful Americana fashion. Orchestra conducted by Bruce Broughton. 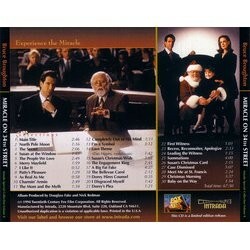 Limited edition of 1500 CDs prepared directly from Fox's original digital scoring session masters.